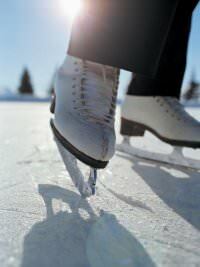 Lace up your skates and get ready to hit the ice once again in Savannah! From Saturday, December 14, 2013 through Saturday, January 4, 2014, you’ll have the chance to enjoy SkateFest at the Savannah Civic Center. This yearly public ice skating event is one for all ages. It’s alcohol free and family friendly. The event runs daily, except for Christmas Day. You can skate until you want a break then visit the concession stand that’s open in the Civic Center Main Lobby between sessions and during SkateFest hours. Each session lasts 1 and a half hours. It’s $7 per person or you can purchase a SkateFest pass at $35 for six sessions. SkateFest is sponsored by CocaCola and WSAV-TV. If you’d like to bring your own skates, that’s fine! However, skate rental is included in the admission fee. Keep in mind there are no lockers available for shoe storage and the Savannah Civic Center will not be held responsible for lost or stolen items. So how can you get your tickets? Contact the box office for tickets at 912-651-6556, and click here to view the calendar. The Savannah Civic Center is in the Martin Luther King Jr. Arena that is located at 301 W Oglethorpe Avenue. It’s a first class, multi-purpose facility that hosts more than 500 annual events. Those include a wide spectrum of entertainment, such as sports and cultural events. At the Savannah Civic Center, you can take in a huge concert, convention, exhibit, trade show, ballet, comedy and all types of music. The staff is hard working and dedicated to ensuring the events go off without a hitch. All part of the Civic Center, there are several available spaces. For example, the Martin Luther King Arena can hold anywhere from 3,500 to 7,200 people! Boasting one of the largest prosceniums in the Southeast, the Johnny Mercer Theatre seats 2,566. Additional spaces include the Civic Center Grand Ballroom, East and West Promenades and various meeting rooms in the building’s second floor wings. The porch is available for seasonal events as well! As you can see, the Savannah Civic Center offers endless opportunities for fun. SkateFest is just one of the many events being offered this season. We encourage you to try ice skating at the Savannah Civic Center, and enjoy this healthy way to spend quality time with your loved one. After you purchase your tickets to SkateFest 2013 in Savannah, Georgia, consider reserving a room with us at the Presidents’ Quarters Inn. Our historic bed and breakfast offers seasonal getaway packages, like the Savannah Holiday Experience Package that is available through December 31, 2013. For just $179, you can add the package on to any room or reservation. It includes a bottle of champagne upon arrival, trolley tickets for two, a $100 dinner gift certificate and dessert for two at Lulu’s Chocolate Bar. We offer 16 rooms here at the Presidents’ Quarters Inn and we truly have something for everyone. The staff provides the best bed and breakfast accommodations to ensure each guest enjoys their stay. Click here to view our rooms and rates!